If you see the map, Arunachal Pradesh looks like a Green Bubblegum. One of the wildly beautiful and unexplored states in India, Arunachal is home to 26 indigenous tribes, which boasts of cultural heritage. 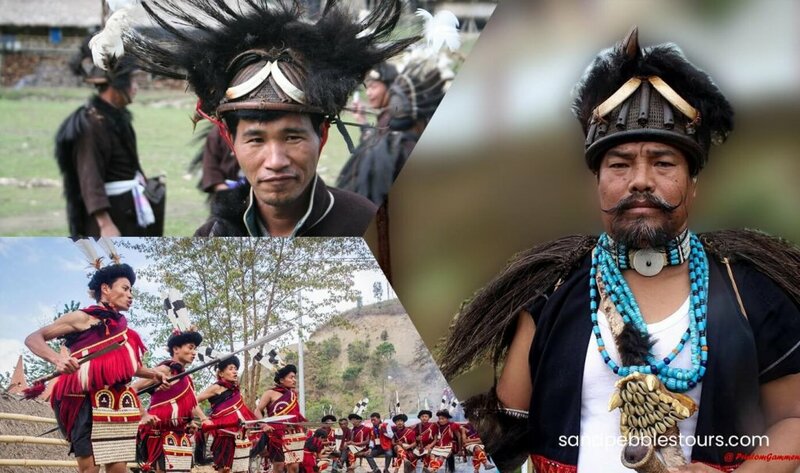 Explore Arunachal Tribal Tour takes you through that Green Bubblegum and lets you explore the culture of tribal people. You’ll see that the tribal people of this area are particularly really proud of their customs and traditions. Smoking skillfully handcrafted pipes and wearing intricate cane hats, they appear proud, like kings of their land. Explore Arunachal Tribal Tour gives you the opportunity to experience the charm of tribal people of Arunachal. With extraordinarily beautiful steep mountains and forests that receive bountiful rains, Explore Arunachal Tribal Tour takes you through those unexplored areas of land. Most of the state is still beyond tourists reach, but some of the areas are gradually opening for travellers across the world and the adrenaline rush that you get knowing that you might be exploring an untouched location and experiencing something which is not yet experienced by anyone is delightful. Explore Arunachal Tribal Tour lets you explore India’s last sanctuary for India’s natural and anthropological heritage. The region remains the last frontier of ancient traditions and forests, a treasure trove in terms of diversity of natural and cultural elements. Today arrive at Guwahati airport, received and transferred to Nameri ( 240 kms / 05 hrs drive), reach Nameri and check into Eco Camp, evening at leisure and overnight stay. Today proceed to Ziro ( 320 kms / 09 hrs drive) – the land of the Apatani Tribes of Arunachal Pradesh, enroute you will pass through many tiny pockets of Assamese, Bodo and Nishi Tribal villages, on reaching Ziro check into hotel and overnight stay. Full day explore the Apatani Tribes of Ziro valley. Overnight stay Ziro. After breakfast, we will drive to Daporijo (160 kms / 07 hrs drive) – the headquarter of the Upper Subansiri district of Arunachal Pradesh, located at an altitude of six hundred meters is an inhabitant of Tagin tribes. Enroute you can visit Nishi tribal villages at Raga. Evening at leisure and overnight at Daporijo. After breakfast, we will drive to Along – the headquarter of West Siang District of Arunachal Pradesh located at an altitude of 300 meters an inhabitants of Adi (Gallong ) tribes. The tribe Adi has different sub tribes which differ from each other like Adi (Gallong, Minyong, Pasi, Padam, Bori and Boker). Afternoon visit Kabo village. Evening at leisure. Overnight at Along. Today after breakfast we will explore more of Galo and Padam villages. Overnight stay Aalo. Today we will proceed for Dibrugarh (05 hrs on road and 01 ½ hrs to cross the river Brahmaputra), we will pass through many small villages of Garo and Nishi tribes, stop for a while and explore few which interests. Dibrugarh is a major town and trade centre of Upper Assam and also a major tea producing and educational centre. Evening at leisure. Overnight stay Dibrugarh. Today after breakfast we drive to Dibrugarh airport for onward destination. All Accommodation using dbl sharing room.